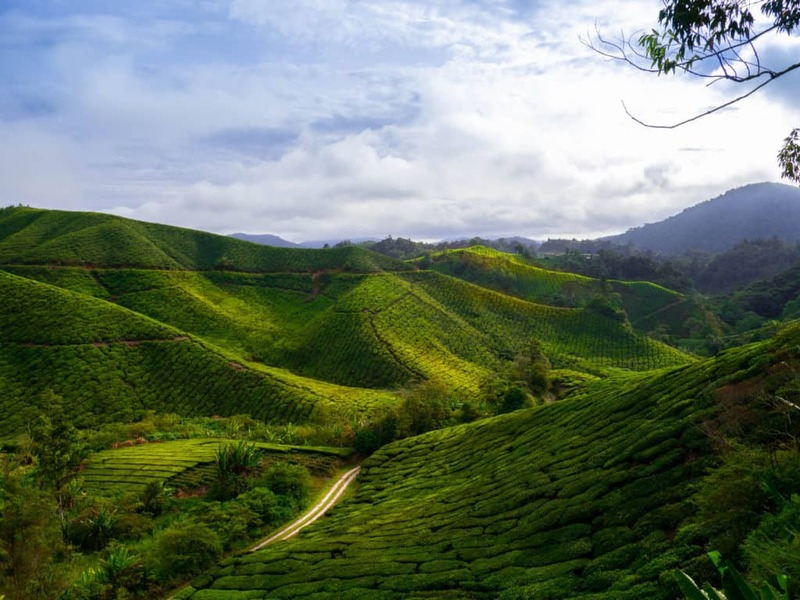 Crispy fresh air, active tourism opportunities and majestic sunrise in Cameron Highlands tea plantations - these are the reasons we decided to squeeze in a Cameron Highlands day trip into our already pretty jammed 18-day Malaysia travel itinerary. Although we have since become strong advocates of slow tourism, the less-than-48 hours we had spent in Cameron Highlands we were the hassle. 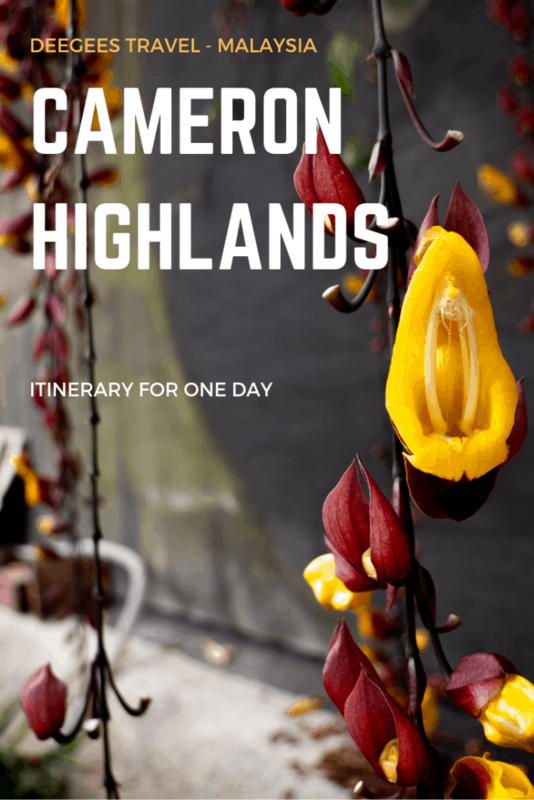 Based on the (positive) experiences we have made, here is a proposal for what to do in Cameron Highlands in one day. 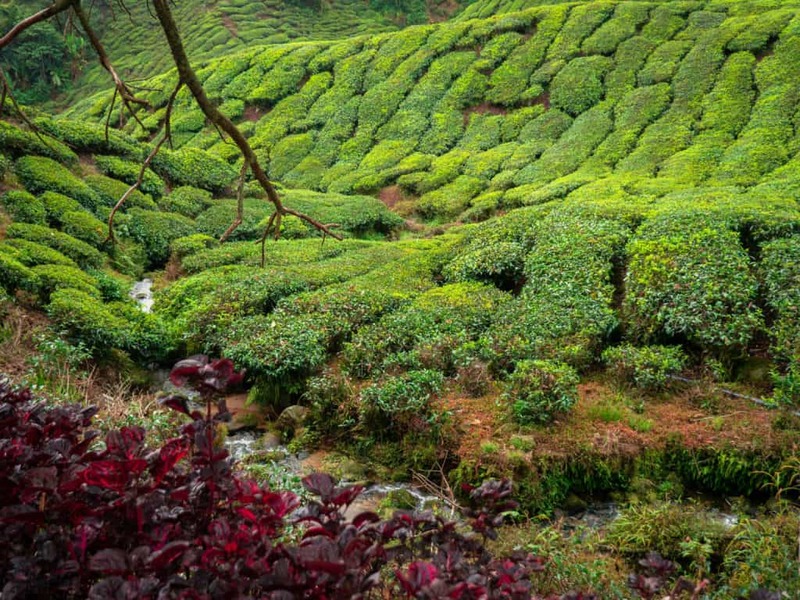 What we missed in our list of what to do in Cameron Highlands in one day? 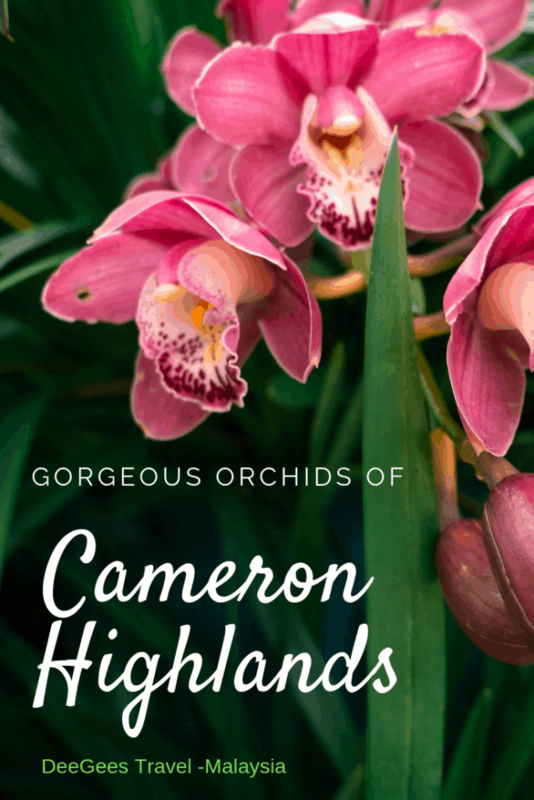 The list of Cameron highlands attractions is rather long, especially if you’re into organically grown produce. If we were already making all that effort of going to Cameron Highlands, we were surely going to make the most of our time there. 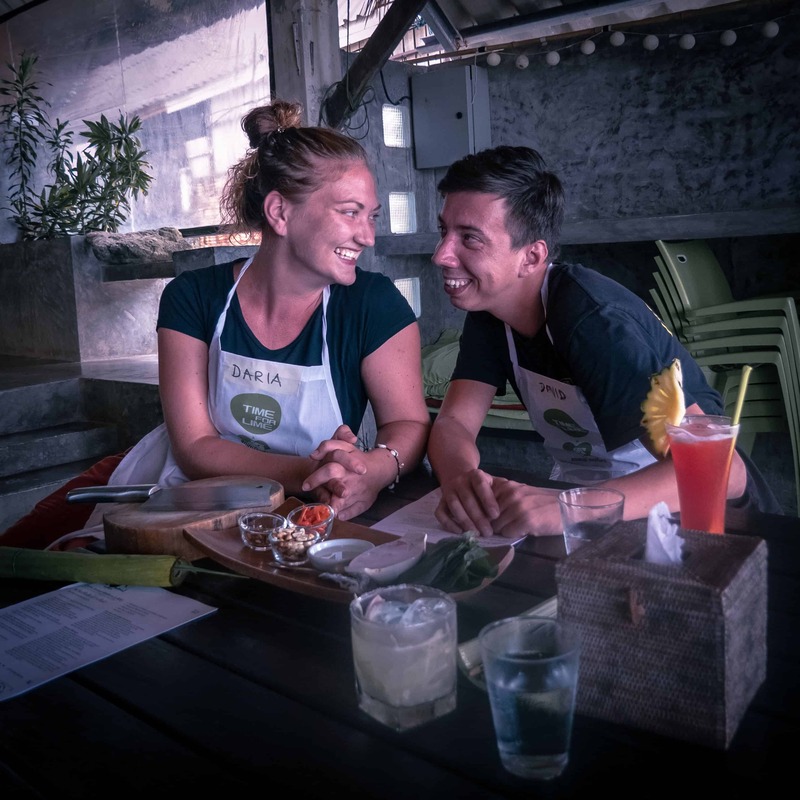 We therefore decided to explore the area by renting a motorbike instead of taking an organized tour, despite the fact that it would require more time and effort in preparation and self-organization. Motorbike rental in Cameron Highlands is unfortunately not as affordable as anywhere else in Southeast Asia. The options are pretty limited as well. We have selected Cameron Highlands Motorbike rental company as they had the best reviews online. We were not disappointed. Make sure you have your international driver’s license as these guys take the legislation very seriously. 💡 Pro tip: Rent a motorbike for 24 h, ideally starting at 8 PM the day before your Cameron Highlands day trip. This way you can visit the night market the night before and also have the bike ready to leave the moment you step out of the door the following morning. Full disclosure - sunrise junkies here. We just love watching sunrise wherever we are at the moment in time, it makes experiencing a destination much richer and intense. Yes, getting up in the middle of the night may not be the most fun, but it is worth the energy you get in return from the power of the sun and the nature. Seeing the absolute darkness slowly turn into a lively colorful scenery is humbling and invigorating at the same time. Don’t be lazy and thank us later. 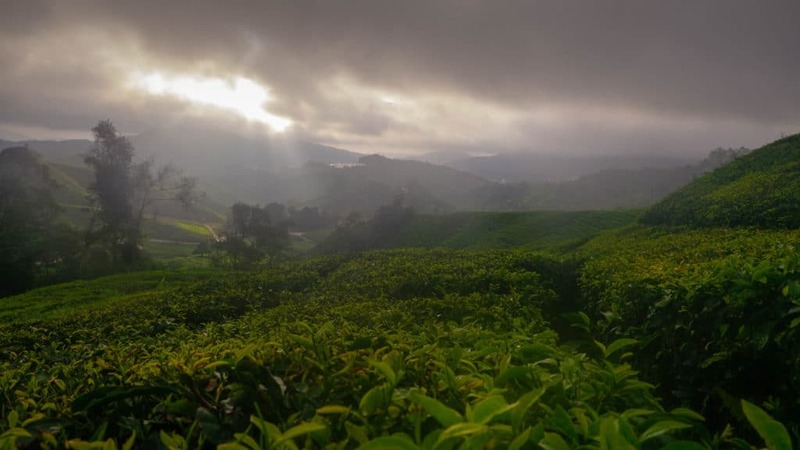 When watching sunrise in Cameron Highlands tea plantations you forget you are in Malaysia or Southeast Asia for that matter, as the cool fresh air and the views are reminiscent of Ireland or Scotland. It is absolutely gorgeous. Don’t rush and fully embrace the nature’s performance while sipping on a warm tea. Some say searching for your perfect Cameron Highlands sunrise spot is part of the experience. If you agree, make sure you plan enough time ahead to cruise around (an hour before the announced sunrise time should do). If searching for unique photo spots in the middle of the night doesn’t sound like your idea of fun, check out the sunrise spot we used for our photo session (see Cameron Highlands map at the bottom of the post - it’s on the way to Boh tea plantations). Until today sunrise in Cameron Highlands tea plantations remains one of Darja’s favourite sunrise chasing sessions. Why is this on the list of what to do in Cameron Highlands in one day? The view is unique and impossibly beautiful. Especially if you love photography, you will enjoy experimenting with your camera. 💡 Pro tip: Pack a thermos with hot tea (ideally from Cameron Highlands tea plantations) and some bananas for breakfast. You will enjoy a snack and drinking something warm in the cold wee hours of Cameron Highlands. Don’t forget to wear a windproof jacket. Once the sun is out, park your bike at the entrance gate of Boh tea plantations and take the 1.5 km walk to the center of the estate. You can drive all the way to there, but then you’d miss stretching your legs and seeing the beautiful views. Boh tea company started in the 1920s by a British expat Archie Russell and a Sri Lankan planter A.B. Milne. These two gentlemen established the first highlands tea garden in the country and laid down the foundation of one of the most popular tea brands in Malaysia. At the tea estate, you can visit a short exhibition on the history, production process and the success of the company and the family who runs it. Check Boh tea official website to learn more about the company and its products. 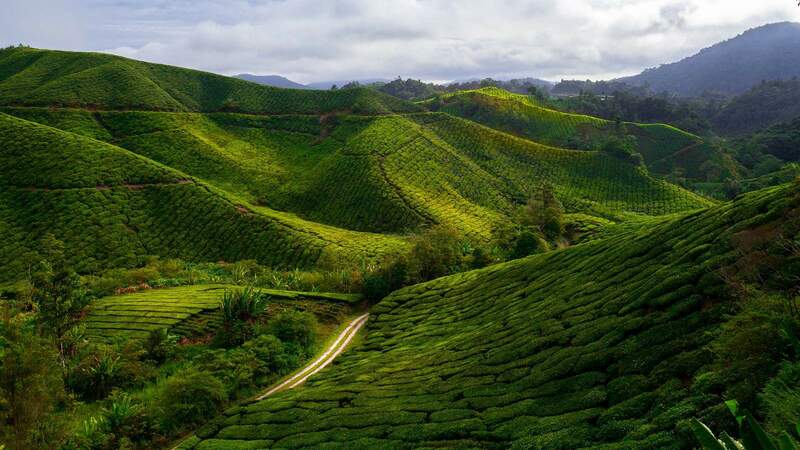 Once done with the more educational program, enjoy a cup of aromatic Boh tea on the terrace overlooking Cameron Highlands tea plantations at the Boh Tea Garden. In Mandarin “boh” means “precious happiness” and this is exactly how you should be feeling by now after such a beautiful morning. Why is this on the list of what to do in Cameron Highlands in one day? Besides the views and the great tea, it is a smooth transition from the quiet sunrise into the busier part of the day. Learning some history and tea production process trivia is a great bonus. Don’t be afraid to strike a Malay-English conversation with one garden caretakers, you’d be surprised how little you need to have a meaningful exchange with someone. One of the gardeners at the farm visualised a wisdom for us. 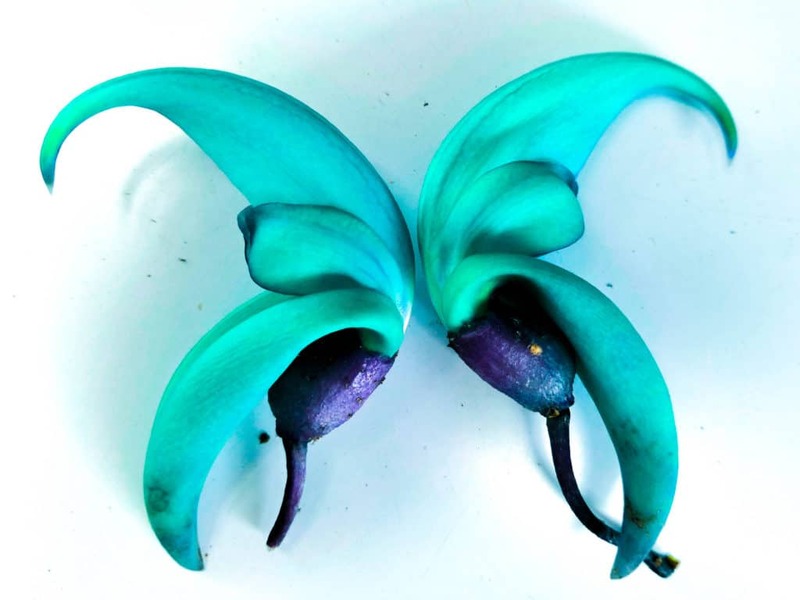 He plucked one orchid flower and lay it down. He said, “look at it, alone it is pretty but meaningless”- He then plucked another orchid flower and put it next to the first one forming a butterfly - “It’s only when together can they form something beautiful”. Don’t cringe, it’s flower poetry. 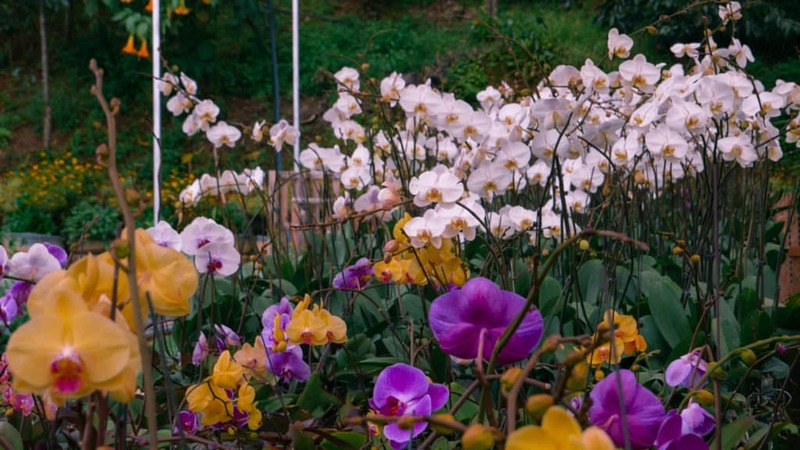 If you want to see more from Cameron Highlands Orchid & Rose farm, visit their facebook page. They regularly post beautiful videos and photos of their flowers. Why is this on the list of what to do in Cameron Highlands in one day? To our knowledge (and experience), the stop is not included in the big organized bus tours. 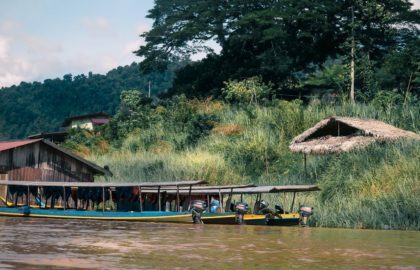 This means it is not touristy at all and therefore perfectly caters for a lovely serene afternoon visit on your Cameron Highlands day trip. 💡 Pro tip: the best time to see blossoming roses is March, June and September whereas if you want to see orchids, the best time to visit is May and June. Congrats! You have deserved yourself a lunch break. Stop at any of the cafes or restaurants on the main streets of Tanah Rata for a quick but filling break. Make sure you still have some space left for a dessert! We had a very lovely lunch at Scott's cafe. It was more on the more expensive side of restaurants, but was delicious. There are many strawberry farms in Cameron Highlands, you will see signs and posters advertising yet another location on every corner. Although the choice was tough, based on the TripAdvisor reviews we decided to go to the Big Red Strawberry Farm (also because the name is kind of cool). The place is awesome. In huge greenhouses it houses hydropinically grown strawberries and lettuces. This means the plants grow without a soil but using water rich in nutrients. Although the technology is not new, it is getting increasingly more traction worldwide. Walking along these floating rows of lettuce does feel excitingly strange. Maybe this is the future? In Big Red Strawberry Farm you can also pick your own strawberry for consumption. Truth be told, we thought it was too pricey and rather opted for the already made strawberry desserts at the cafe. Doubt we’d saved any money, but the strawberry desserts were so good we still sometimes dream of them. Why is this on the list of what to do in Cameron Highlands in one day? 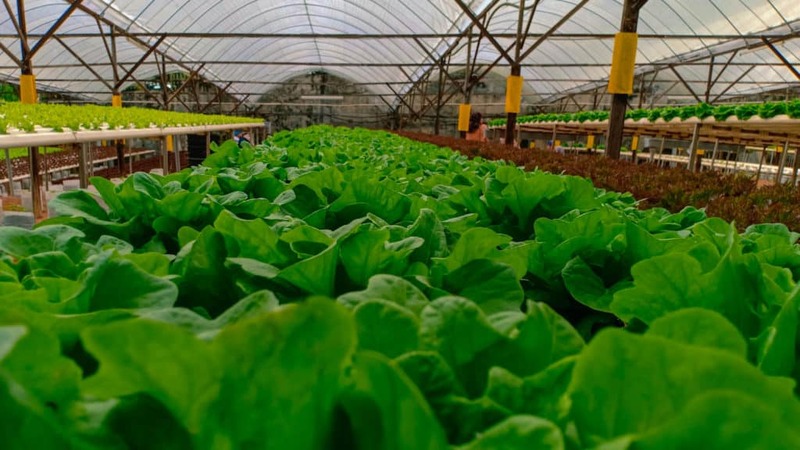 If you’ve never been to a hydroponic farm, it’s a fun and interesting experience. 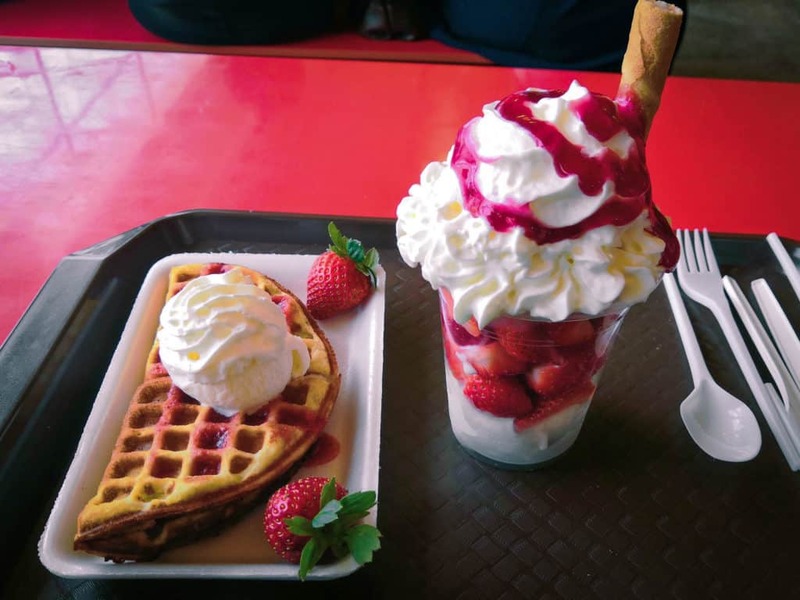 Plus, the Red Big Strawberry Farm desserts come straight from strawberry heaven, so it’s worth going there if only for that. Time Tunnel museum in Cameron Highlands is the first memorabilia museum in Malaysia. 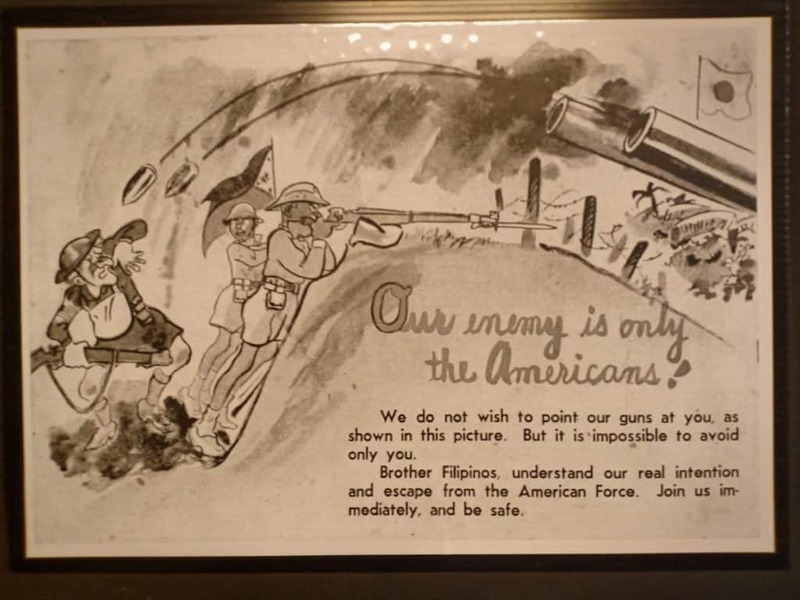 The collection consists of four thousand objects of all possible sorts - aborigines’ weapons, advertisement, kitchenware, war propaganda posters just to name a few. Not entirely sure what Marie Kondo would say about this place, but try to keep an open mind as you explore the eight galleries of essentially “old stuff”. The Time Tunnel museum also goes over the history of Cameron Highlands and how it gained its popularity and intensive development during the colonial times as the British used the highlands as an escape from the heat and humidity. (See, told you the place makes you feel like you’re somewhere in the North of the UK). 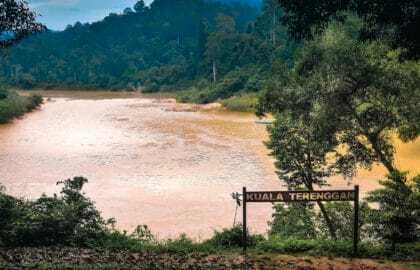 There are even some old black and white photos of the period when the place was far away from being one the most popular destinations in Malaysia. Why is this on the list of what to do in Cameron Highlands in one day? The Time Tunnel museum being far from dry nor boring will wake you up from the strawberry dessert coma you’ve been in since the farm. The Time Tunnel museum has funny installations, riddles and entertaining photo spots. Have fun! 💡 Pro tip: Take the time to read captions, it is interesting to see how nations put accents differently on the historic events most of the world shared. Just don’t take anything personally. 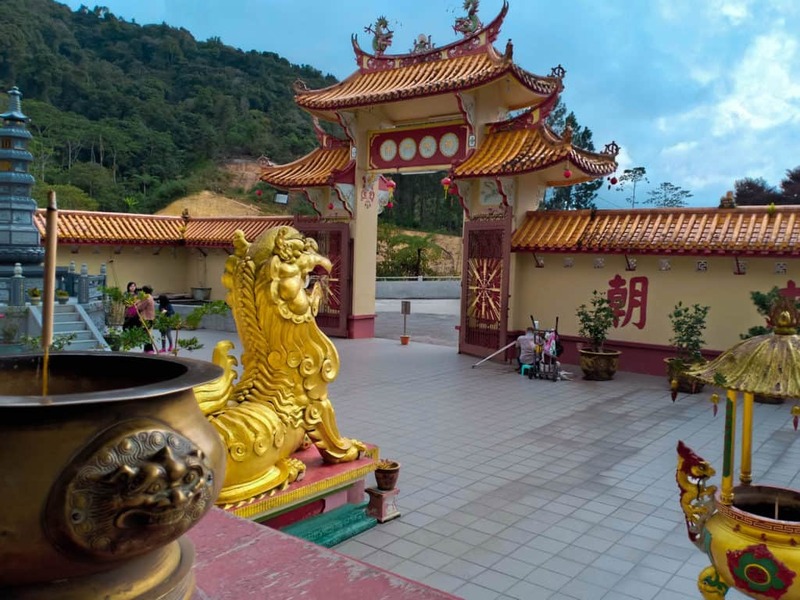 Sam Poh temple is the 4th largest Buddhist temple in Malaysia. It is built a bit off the road and on the hill, offering a modest view of the surroundings. It is very tidy and well maintained, housing multiple statues, both Buddhist and Chinese. Why is this on the list of what to do in Cameron Highlands in one day? The temple is very serene and gives you a chance to reconnect with yourself. 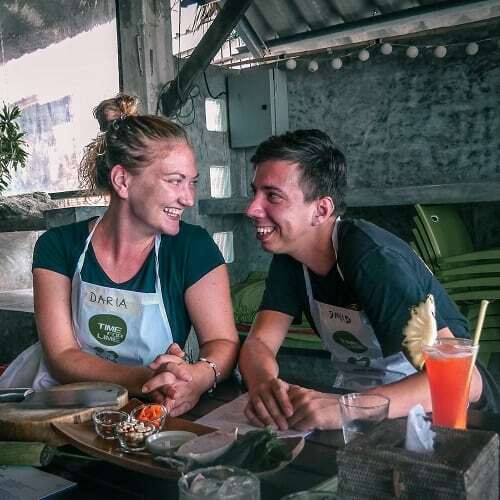 Take a moment to process your day and be grateful for your experiences on the Cameron Highlands day trip. Try to keep that feeling of precious happiness. 💡 Pro tip: Since it is not a very touristy place, there is nobody there to lend you a sarong. Make sure you have something to cover your shoulders and knees when entering the temple. Don’t forget to remove your shoes. The Brinchang night market is a prominent Cameron Highlands attraction. Only open on Fridays and Saturday, it is a fun place to visit if you’re in town over the weekend. The market offers a wide range of fresh fruits and vegetables from the region. The kind that makes you really miss home and cooking, if you haven’t done that for a while. If only those juicy fresh products weren’t covered in all that plastic like so many other things in Southeast Asia. Eh. 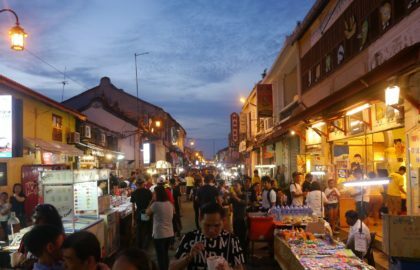 The location of the Cameron Highlands night market has moved a couple of times in the past years so you better check with the locals before you go. Why is this on the list of what to do in Cameron Highlands in one day? 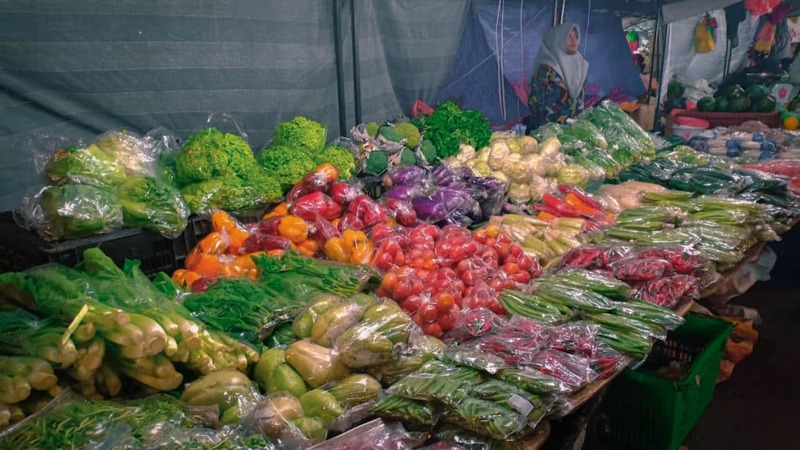 Because markets are fun and because fresh products is what Cameron Highlands is all about. 💡 Pro tip: depending on when you’re arriving to Cameron Highlands, consider visiting the Cameron Highlands night market the evening before. Here below is the map of our proposed Cameron Highlands itinerary. Click on the top left corner to unfold the layer with the description of points of interest. Trekking. With multiple paths around, trekking is one of the best things to do in Cameron Highlands by yourself without using a guide. It’s a great combination of gorgeous views with some physical exercise - something we typically love doing. Visiting Mossy Forest. You are strictly not allowed to drive up to this Cameron Highland attraction by scooter. There are cameras and perpetrators are fined. This has to do with protecting your safety (and partially maybe the income of local tour operators). You can reach Mossy Forest by car and / or hiking up. 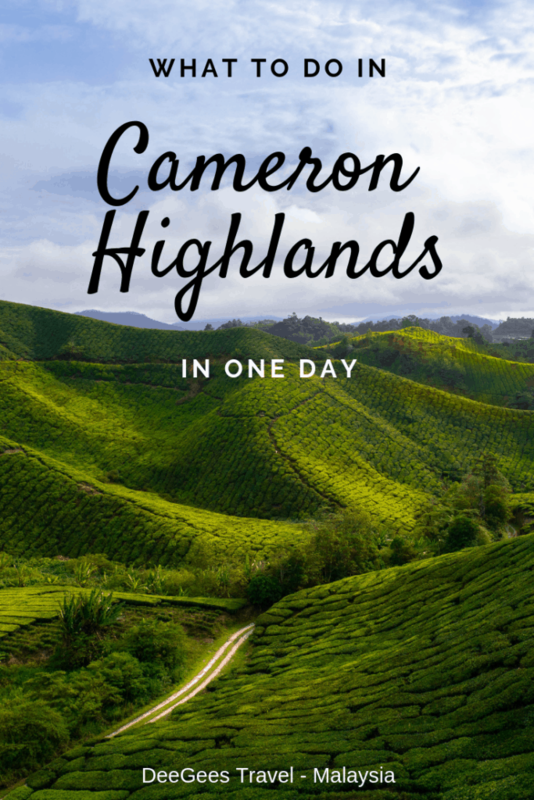 Anything we missed that you feel should be on the list of what to do in Cameron Highlands in one day? If you want to get more insights into the costs of travel in Malaysia, make sure to check our blog post about how much we've spent in the 18 days in the country. Cool! That’s exactly what we were going for 🙂 Thanks, Jess! The strawberry desserts look like a must. And I have never been to a tea garden – what a cool place. I really like the “why” and the pro tip at the end of each section. 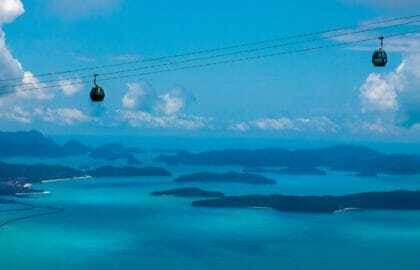 This looks like an absolutely amazing place to visit! And that strawberry dessert! I want one! I love how detailed your post is. By reading this post and preparing for the travel plan could save someone tons of time. I also like how you provided the detailed about review and site map. I have been reading and feeling like I am traveling with you…. It’s going to be our travel list, thank you so much for sharing this with us readers. Your budget break downs are the best..